WHAT IS THE NUCLEAR LEAGUE? The Nuclear League allows every racer to score points so you can challenge yourself and others around you. 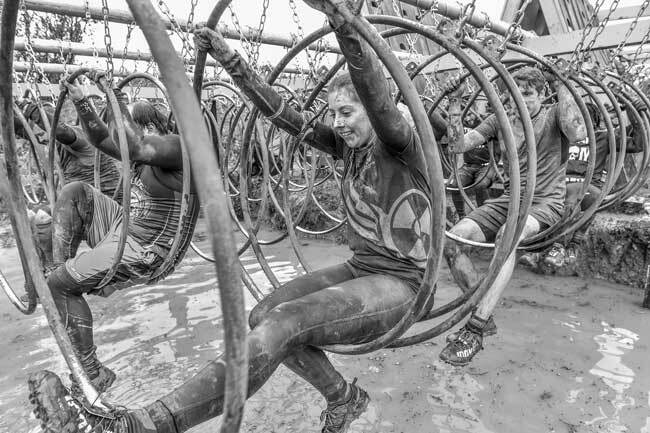 It’s free to enter the league but you do need to run in the qualifying wave at every obstacle race taking place at Nuclear over one year. Points are scored in relation to your finish position at each event. Results are then amalgamated & added to the league table which can viewed on our website. There will be a male & female NUCLEAR league table. 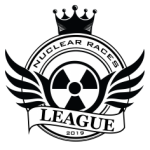 The top 3 male/female overall & age group will feature their photo in the 2020 Hall Of Fame on the league page on Nuclear’s website. 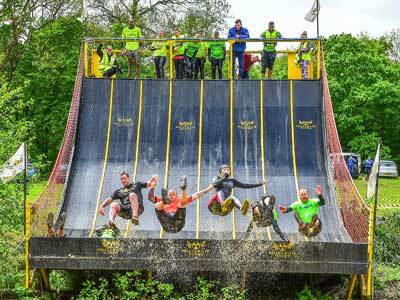 The league year begins at Nuclear Rush in May & finishes at Nuclear Fallout in November. Only qualifier waves count towards the Nuclear League points system. All obstacles are mandatory with penalties available at more challenging obstacles, they are marked accordingly. You can make multiple attempts at an obstacle before a penalty must be taken. Bibs will be supplied and must be worn; they will be removed if disqualified. Overall league results & winners announced in the week proceeding the last event at November’s Challenge Cup.